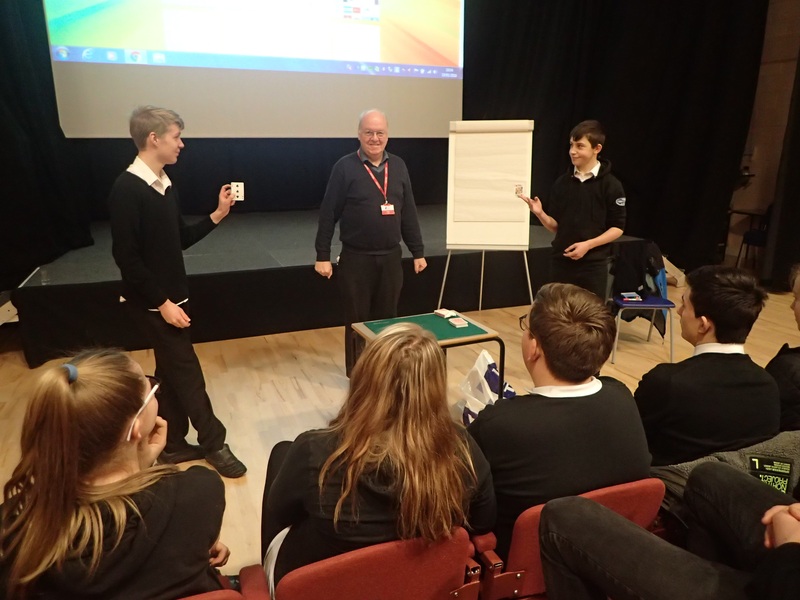 Showing that maths can be magical, engaging, surprising, and fun! NOTE: what follows was hastily assembled with images grabbed from all over the web and no credits given, sorry. Let's say you have a room with at least 30 people in it. Take a large sheet of paper (or use a classroom board) and write down January at the top. Ask those with birthdays in January to call out the date. Write those down under the word January. You might hear 3rd, 17th, 20th. Repeat for February. Maybe you only get 23rd. Repeat for March, and so on. It all sounds very boring, but you might be in for a surprise. 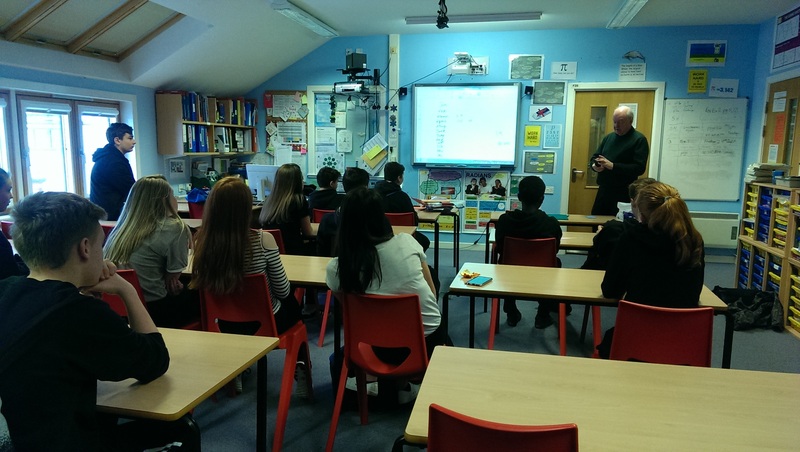 Even if 60 or 160 (or 260 or 360) people are in the room, it's possible that all the date you write down are different. After all there are 365 (or 366) different days of the year. 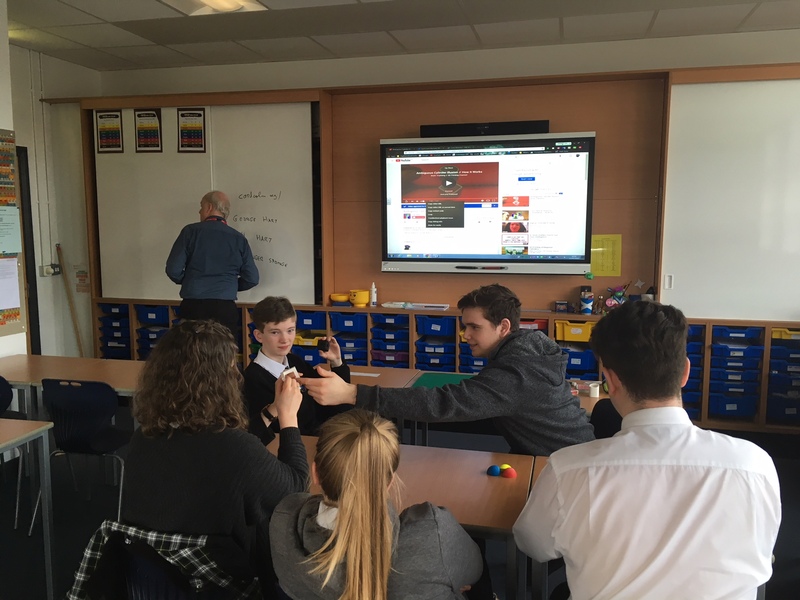 Unless the people in the room were chosen in advance to have different birthdays, you may well find that AT LEAST TWO OF THEM SHARE A BIRTHDAY! 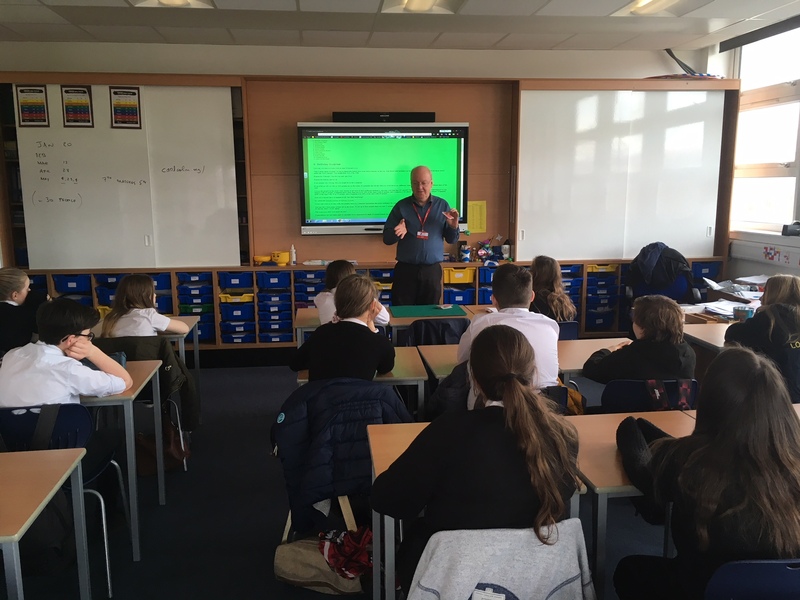 It can happen with 20 people, it happens more often than not (over 50% of the time) with 25 people, and it happens a lot (about 70% of the time) with 30 people. It happens most of the time with 40 or 50 people, and it happens over 99% of the time with 60 people. And yet it doesn't have to happen at all. Isn't that surprising? It's called the Birthday Paradox or Birthday Surprise. If you can't wait to try this with real people, here is a computer simulation that picks birthdays for you, at random: Birthday Simulation. You just tell it how many people are in the room. It's set up to first assume there are just 15 people; that's so small we don't expect to get a match, so try increasing that to 30 and hit "Run 1 Trial" again. The Odds Gods may well smile on you! Coincidences are inevitable and we shouldn't be so impressed by them. It would actually be more surprising if there were NOT coincidences like this. Make one cut (or draw one line)—-of course it needn't be straight—-that divides the figure below into two identical parts. This is a classic Martin Gardner puzzle. 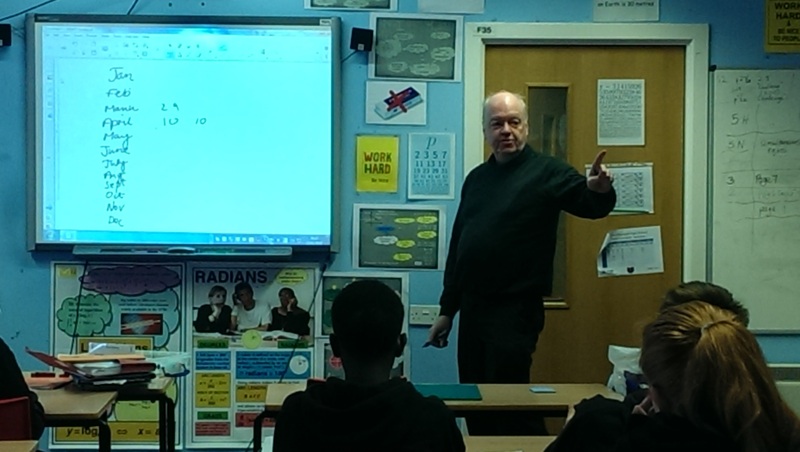 Consider three fundamental 2D maths shapes: triangle, square, and circle. 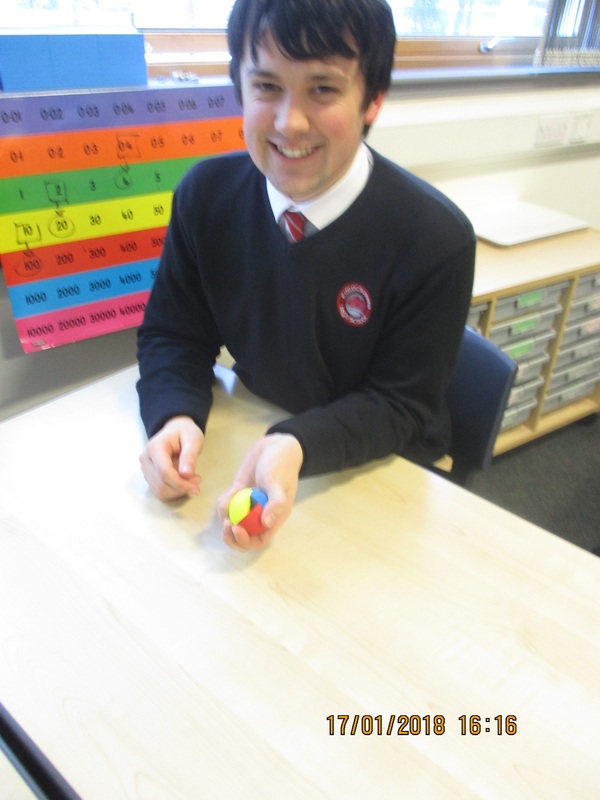 Can you imagine a 3D object which looks like a square from one angle, and a circle from another angle? It's a familiar shape, assuming that it just happens to be as tall as it is wide... click here to see the answer. 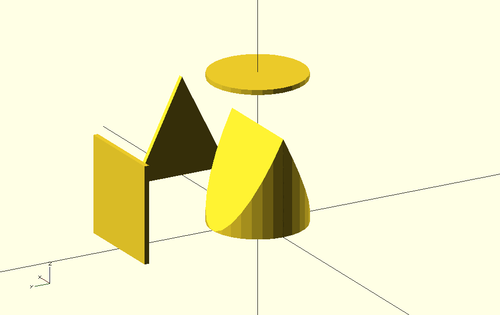 Now, can you imagine a 3D object which looks like a triangle from one angle, and a square from another angle? That's trickier... Here is one! 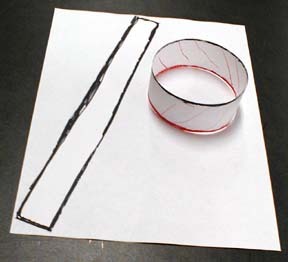 When a long skinny strip of paper has its ends joined together in the usual way a band or loop is formed. 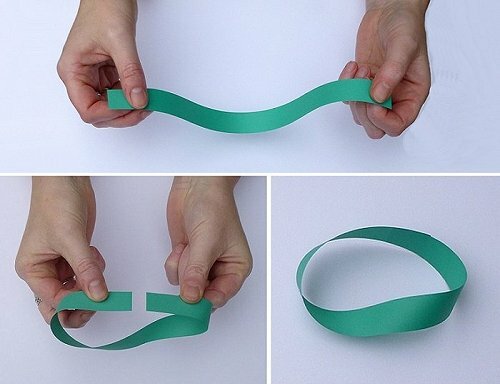 To get a larger loop, start with a very long strip. 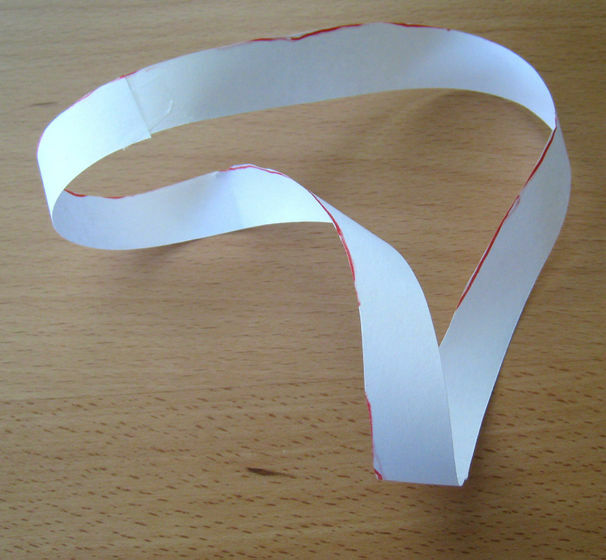 If a large loop is cut up the middle with a scissors, the result is predictable: two separate skinnier loops which are the same length as the original. Try it! 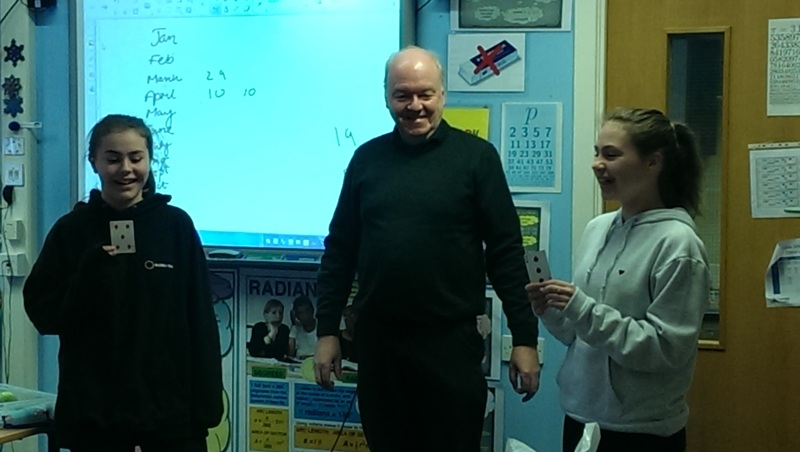 This is called a Mobius Band! It was "discovered" in Germany in 1858. An ordinary band of paper has two sides, and outide and an inside. 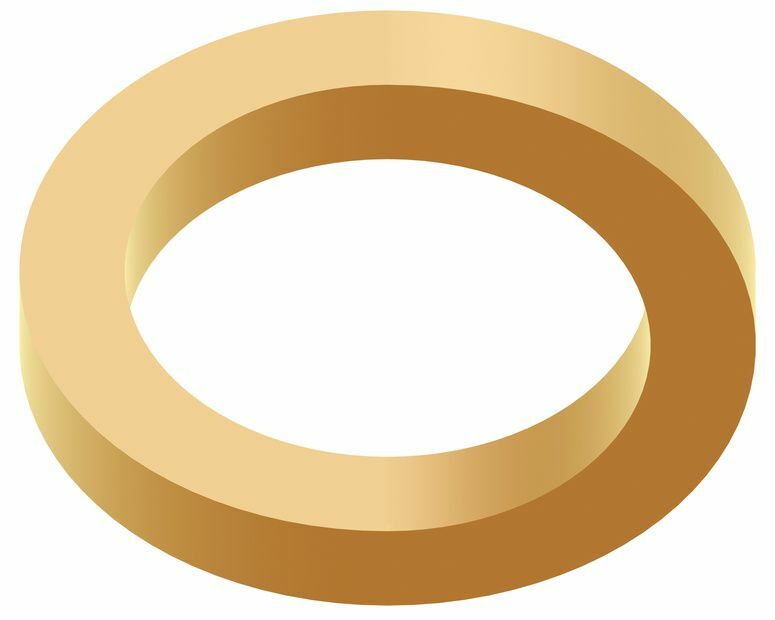 But if you look closely at a Mobius band, such as the larger picture below, you'll find that this is not true anymore. 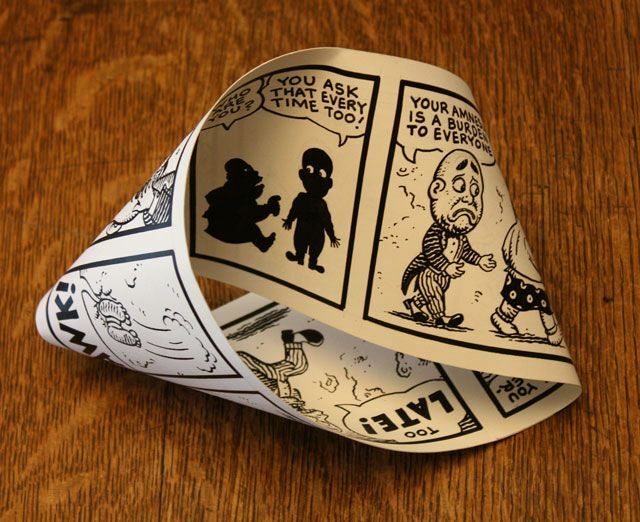 A Mobius band is in fact one sided, and can be used for a one-sided cartoon strip that goes on forever. 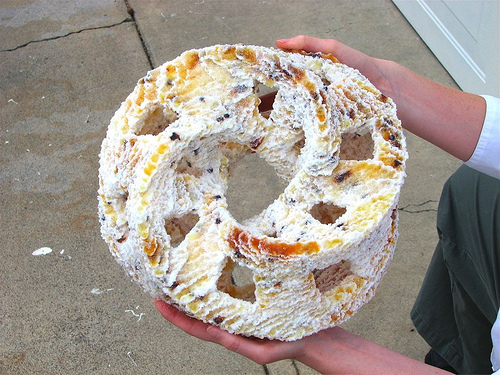 There's even Mobius bacon and Mobius cake. Let's go back to the long skinny strip. In the next picture, the ends are labelled. 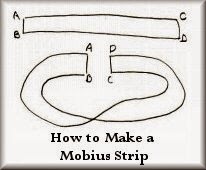 The normal way to connect the ends is to join A to C and B to D, but if the strip is given a twist and we join A to D and B to C instead, we get the Mobius band. 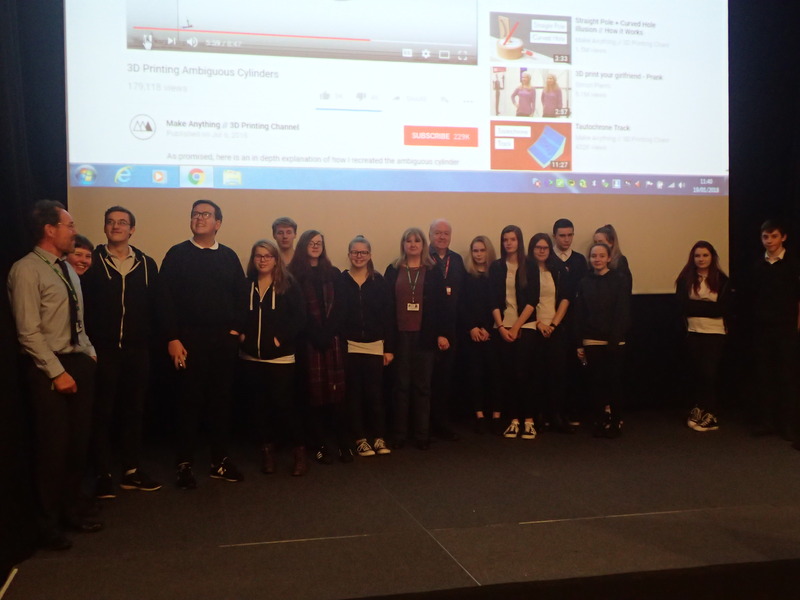 You have to look very carefully at these images to see which is which! 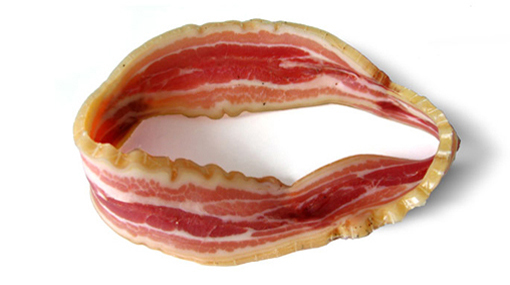 Instead of giving the strip a single twist before joining its ends, we could give it a double (or even a triple) twist. The results are a different each time, but hard to tell apart just from a quick look at the end result. 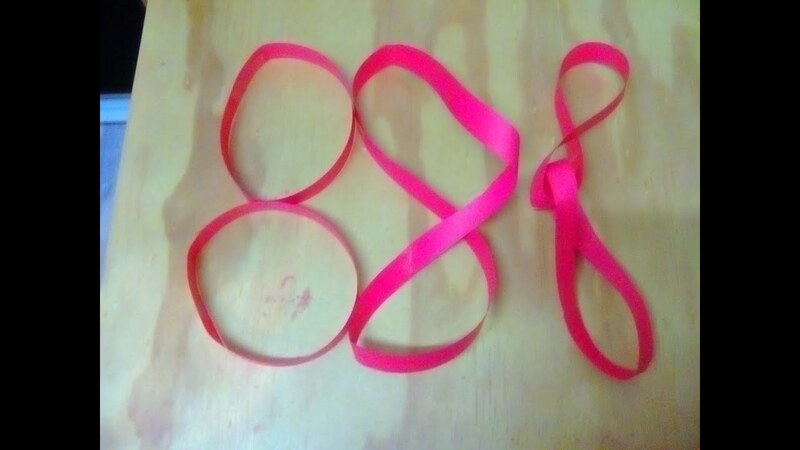 Here is the key question: what happens when we cut up the middle of a Mobius band, the loop with a single twist? 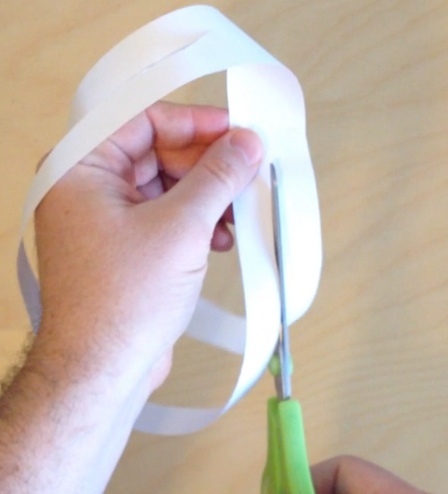 The best way to find out is to get paper, tape, and scissors, and try it for yourself! 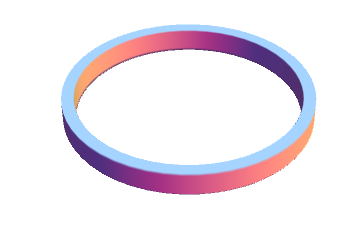 A second interesting question: what happens when we cut up the middle of a loop with a double twist? 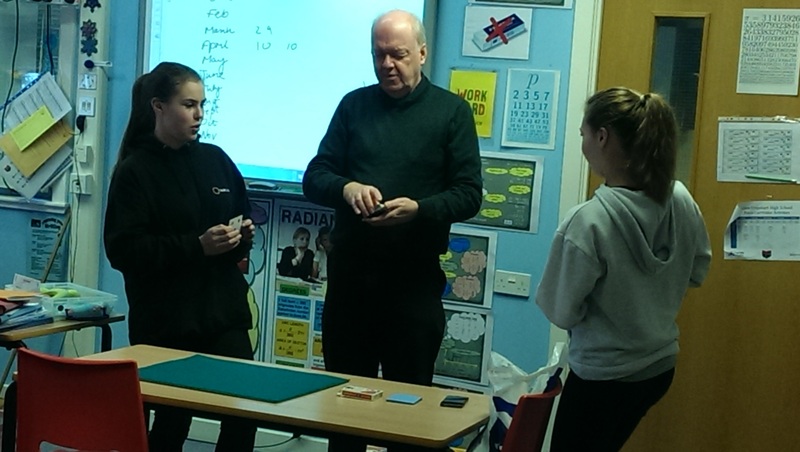 A third interesting question: what happens when we cut up the middle of a loop with a triple twist? Can you think of any more interesting questions along these lines? This image shows some of the possible results, and this video reveals how they arise. 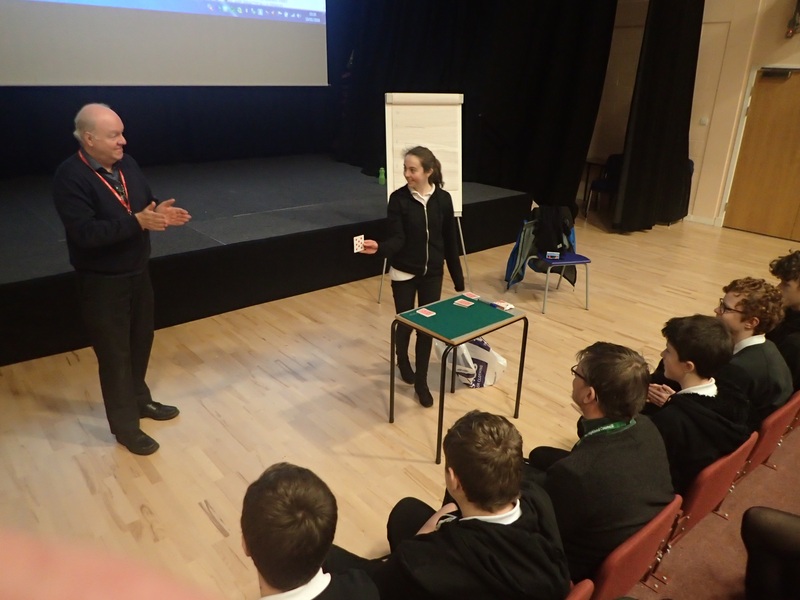 Instead of connecting the ends of a flat strip of paper, with or without some twists, we could try to connect the ends of a thicker band, maybe even a thick squared band. 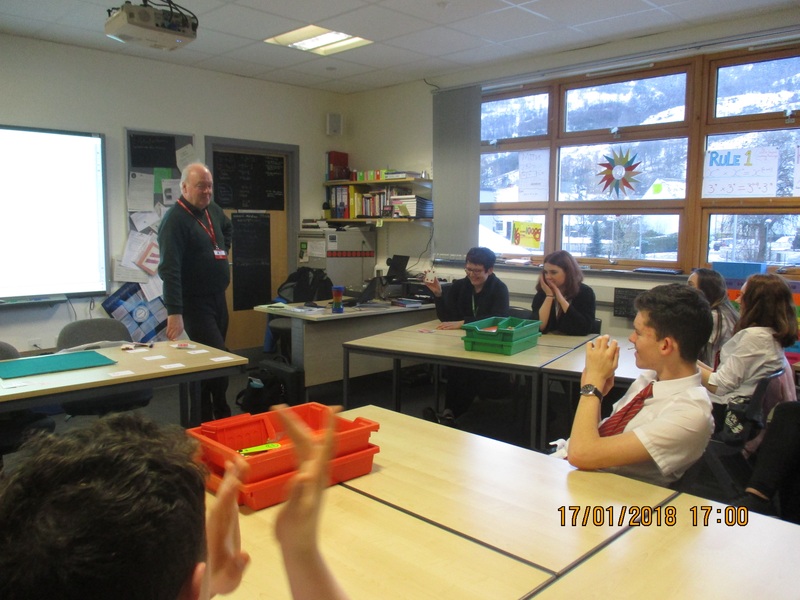 The following pictures show examples. Notice what happened? We get doughnut shapes, but we can't tell if they have a twist or not! 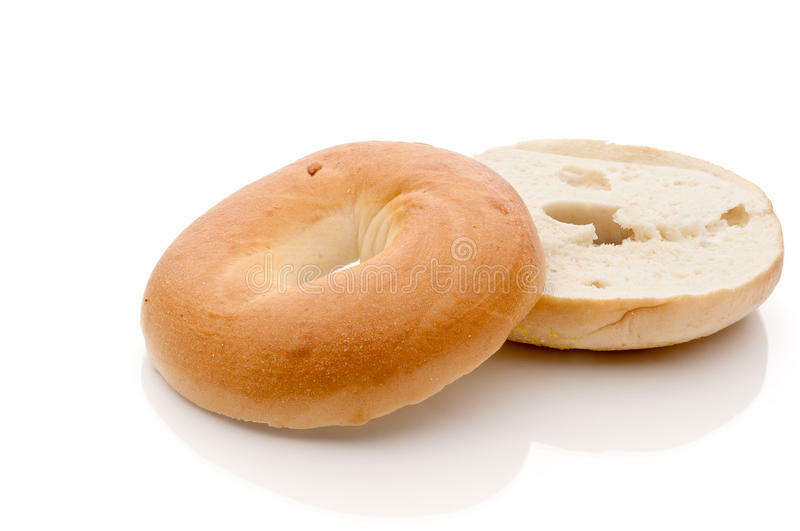 Above we see an actual doughnut, alongside a bagel; that's a type of chewy bread with a bigger hole than a doughnut. Can we still "cut up the middle" here? 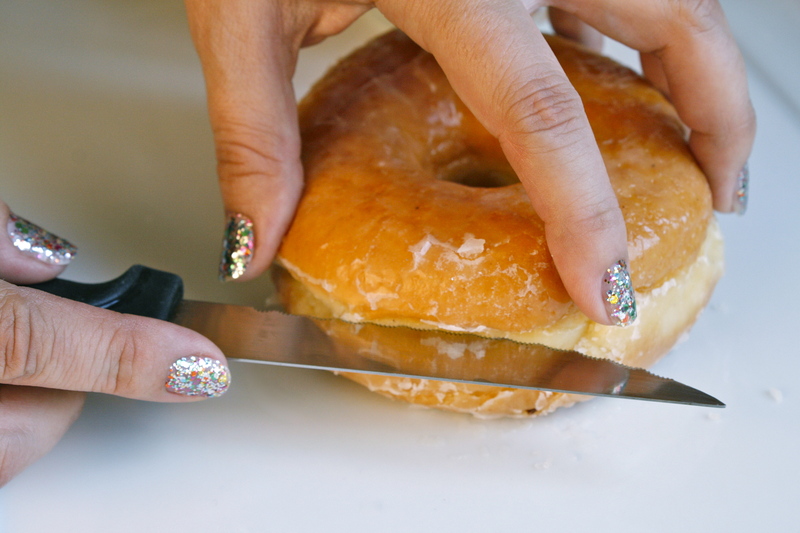 Of course, and a normal horizontal cut (with a knife rather than a scissors) will result in two half doughnuts or bagels. What about "cutting up the middle" in the case of the Mobius band, to get some surprising tasty treats? How that be done here? The trick is to twist the knife gradually while cutting, as if we were cutting up the middle of a twisted strip. 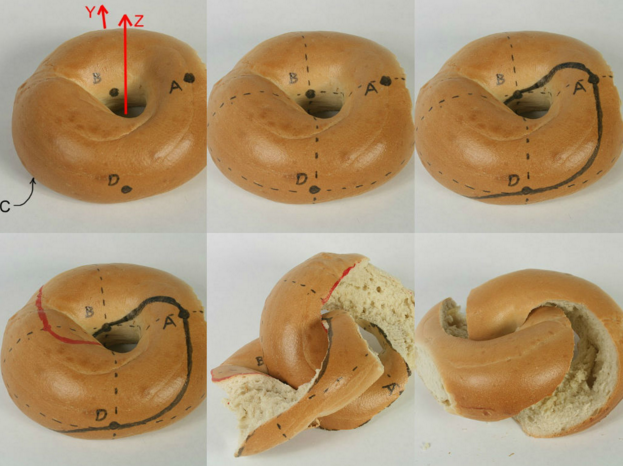 The pictures below show how to sketch out, on a bagel, part of the path the cutting knife must follow, as well as the end result. Look at the next picture. It shows an object (closer to the viewer) and its reflection in a mirror (further away). 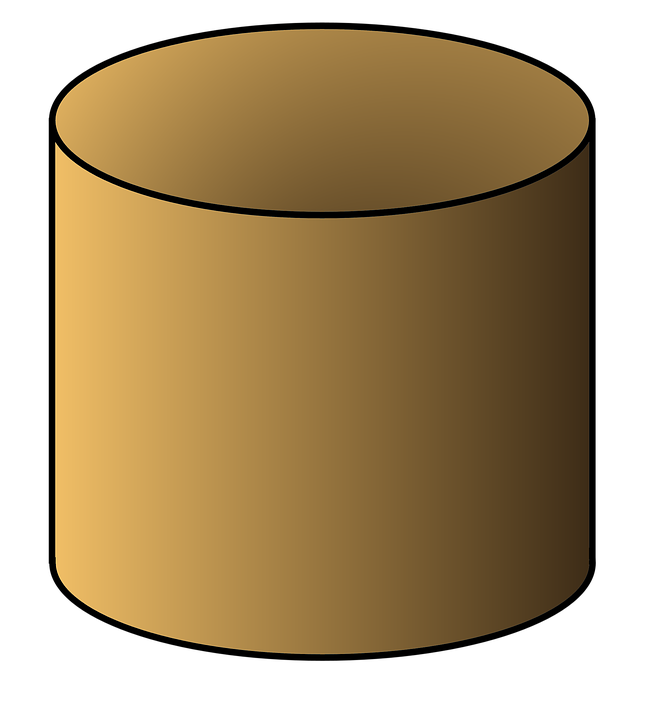 That's right, it looks like a circular cylinder whose mirror image in a square cylinder, and that's exactly what it is! It's a new mathematical optical illusion called the Sugihara illusion. This award-winning video of the illusion should amaze you. If you want to know more about it, just do a web search. 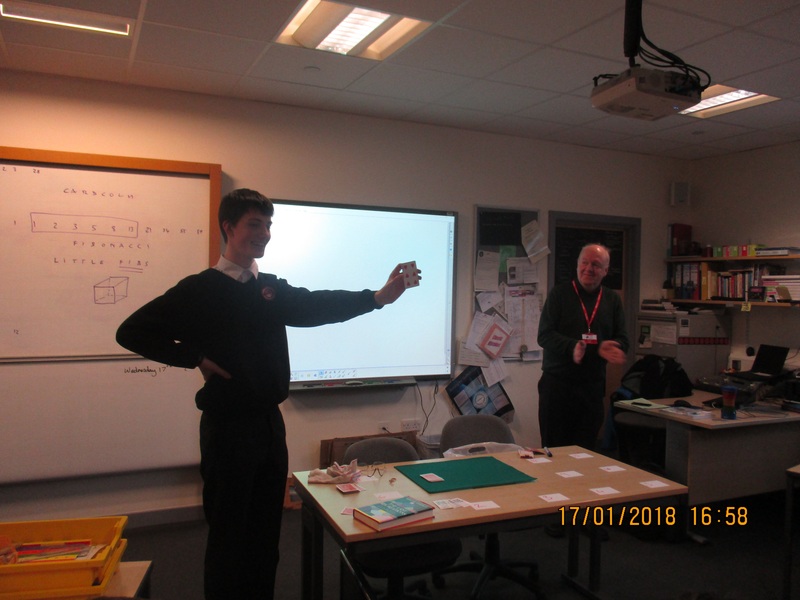 It can be 3D printed if you design it using maths. Draw any curve that loops back to itself, it doesn't matter if it crosses itself. Amazingly, it seems that we can always find four points on the curve that form the corners of a square peg. 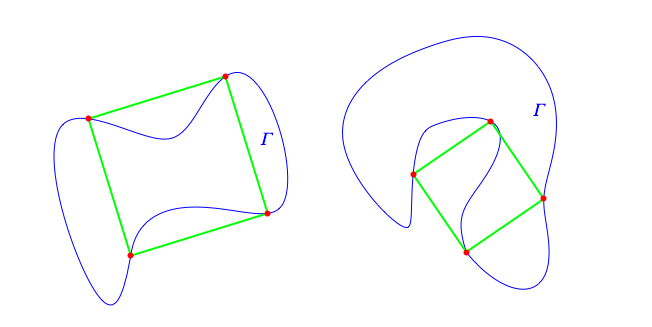 Some looped curves have several such square pegs hiding inside them. 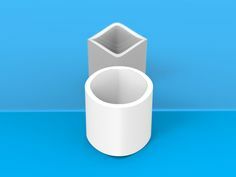 Click here to explore an interactive version for shapes with straight edges. Do you think the above claim is also true if we replace "four corners of a square" with "three corners of a equilateral triangle"? Which of these cylinders is larger around the top than the height from top to bottom? 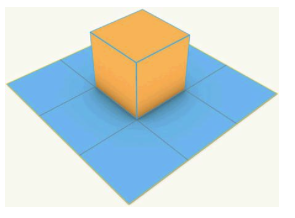 Is it possible to cut and fold a 3x3 square grid of paper to enclose a 1x1x1 cube as shown above? The cutting and folding must be along existing grid lines, and the resulting piece of paper must be in one piece connected. TRY IT YOURSELF! Don't look at the solution linked from here. Which triangle has larger area? An excellent 15 minute video that really nails it!